Today we are closing the circle on the story of a beloved Stradivarius. GREENE: It belonged to the virtuoso violinist Roman Totenberg. Just a few years after Totenberg's death at age 101 and 35 years after it was stolen, the violin was recovered by the FBI. Totenberg's daughter, Nina Totenberg, broke that story. And today she brings us what musicians call the coda, the concluding part of the piece. TOTENBERG: And when the violin was recovered, we three Totenberg sisters were intent on just one thing, that the instrument now known as the Totenberg-Ames Strad would be played in concert halls everywhere, not closeted away in some collector's vault. 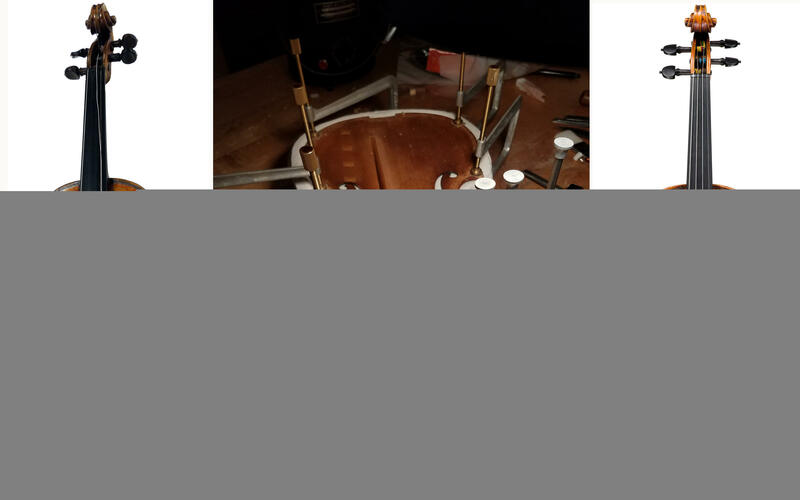 Ensuring that was not as easy as you might imagine. The violin was in excellent shape. 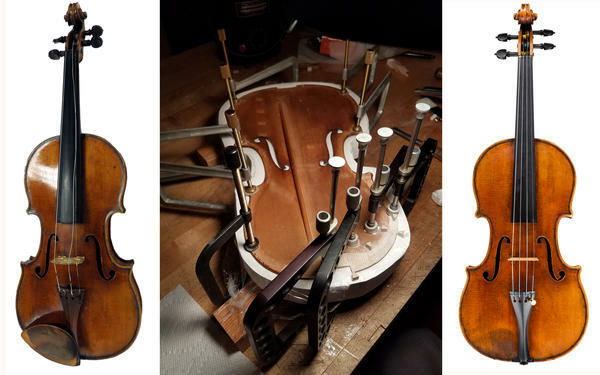 But because it had not been professionally maintained for 35 years, it had to be restored, a task performed over two painstaking years by craftsmen at Rare Violins of New York. Still, finding a buyer who met our specifications was not so simple. We could sell it for oodles in Asia but likely never hear it again. 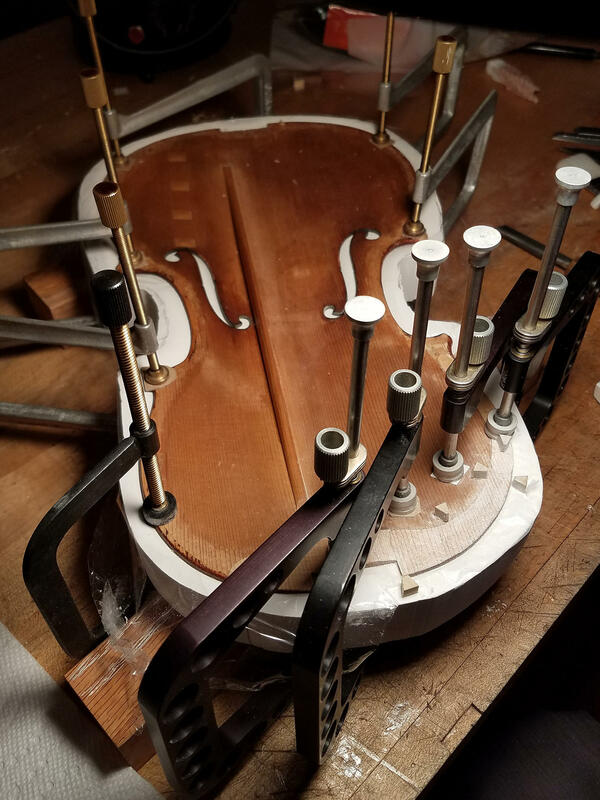 And then the co-owners of Rare Violins, Ziv Arazi and Bruno Price, were approached by an angel, a person whose identity we still don't know and likely never will. Ziv and Bruno referred to him only as our friend. He was willing to buy the violin but not for himself. ZIV ARAZI: He challenged us to help young musicians have access to great instruments. ARAZI: Because values have gone up so high over the last 30 years, musicians have no longer the ability to access great instruments, let alone own them. TOTENBERG: And so Ziv and Bruno have founded something called Rare Violins In Consortium, a way for wealthy patrons of the arts to acquire string instruments and then lend them out to promising young musicians for years at a time. My father's violin will go first to 18-year-old Nathan Meltzer, who already has enough of a career to pay the considerable insurance and maintenance costs. Meltzer, a strapping 6-footer who can manage this relatively large Strad, has been practicing on the violin for about six weeks now. I don't know how to explain (laughter) how great it sounds. It has an amazing amount of power to it in all registers. At the same time, the sweetness - and it never gets brittle and never gets shrill. TOTENBERG: Today is the last day that the Totenberg Strad will be, in any sense, the property of the Totenberg family. We hope we've been good custodians, in my father's name, and Antonio Stradivari's as well - but most of all, custodians for audiences who will hear Nathan Meltzer and others make that violin sing long after we're gone. My father, I'm sure, would want me to end today not with him playing but Nathan Meltzer in a practice studio at Juilliard. TOTENBERG: On second thought, Dad, let's go out with you. TOTENBERG: I'm Nina Totenberg in Washington. (SOUNDBITE OF STANISLAV WISLOCKI, ROMAN TOTENBERG AND THE POZNAN PHILHARMONIC ORCHESTRA PERFORMANCE OF BEETHOVEN'S VIOLIN CONCERTO IN D MAJOR, OP. 61) Transcript provided by NPR, Copyright NPR.